Nothing can escape the vast coverage of Funko Pop! and that includes the 2016 presidential election. 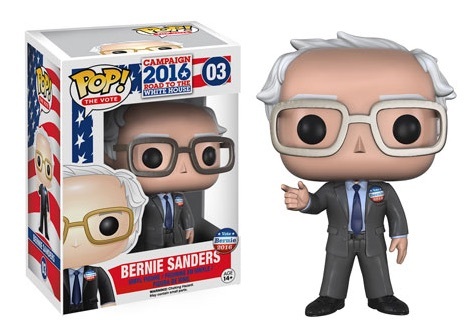 2016 Funko Pop Vote Campaign vinyl figures showcase the frontrunners for the White House as part of a new Pop! figure line. Featuring Donald Trump, Hillary Clinton and even Bernie Sanders, the line takes aim at both Democratic favorites and the Donald. Showcasing their trademark looks, all candidates are posed gesturing to the American people as they push for the White House. 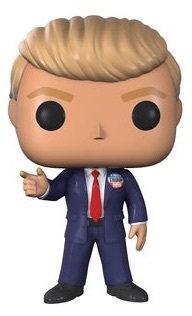 Part of the Pop! 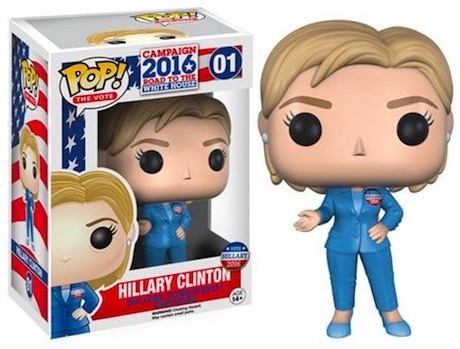 Campaign 2016 Road to the White House line, each figure stands approximately 3 3/4 inches tall. 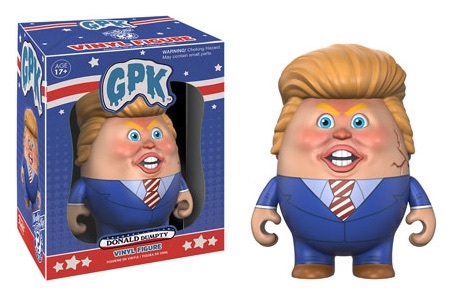 Building on the images already immortalized in a series of Garbage Pail Kids cards, both Hillary Clinton and Donald Trump are also featured as actual versions of their GPK parody caricatures. 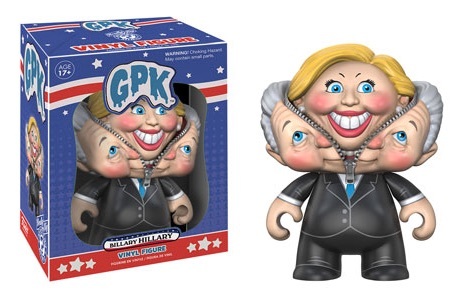 These playful Funko GPK figures for Trump and Clinton are only found through the Topps Online Store. 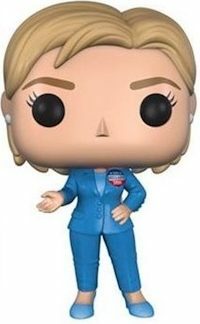 Limited Topps Garbage Pail Kids cards for the 2016 election are also exclusive to Topps and there are quite a few versions for the two candidates shooting for the White House. 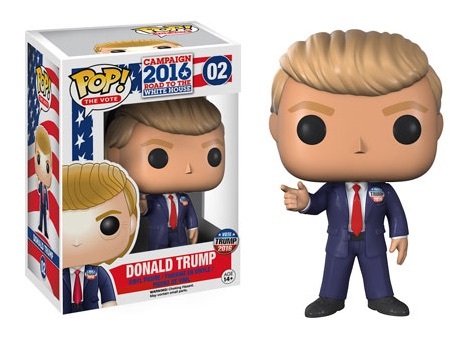 Funko Pop Donald Trump & Bob Ross !!! Click on the images or listings to shop for figures on Amazon or Topps.